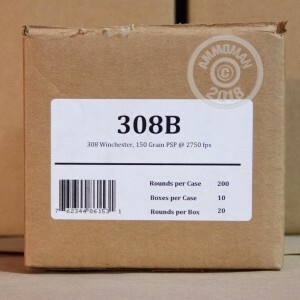 This 308 Win round is ideal for your next hunting trip. With American manufactured components and a soft nosed tip you can assured that the next game you shoot can be stopped by reliable accuracy and explosive stopping power. 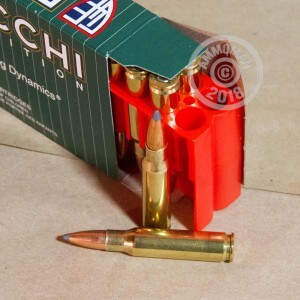 Made in the USA with grand Italian heritage Fiocchi's ammo has a reputation all it's own for high quality munitions. 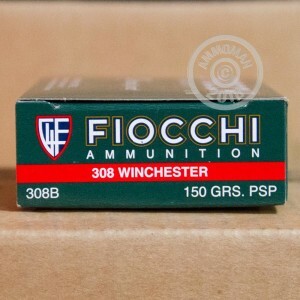 Since the 1870's Fiocchi has been making ammunition that has gained a worldwide reputation for great reliability and accuracy.